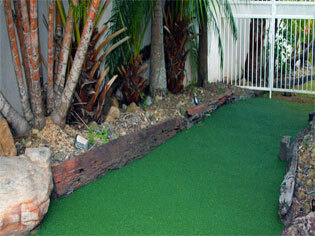 Landscapers, concreters, pavers – expand your business into domestic rubber wetpour! Same skills, same tools, new product. 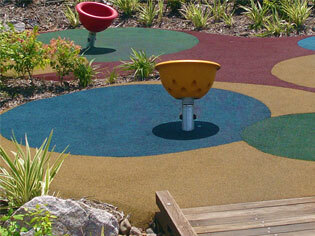 Rubber wetpour surfacing is a specialty service seeing an increase in popularity in domestic applications. 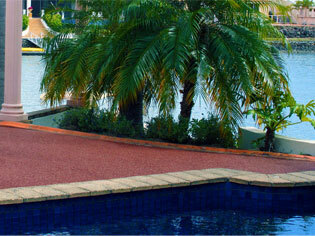 As an environmentally friendly surfacing option that ticks all the boxes, rubber wetpour surfacing and skilled installers are increasing in demand. Rubber wetpour fits in with your existing business, using the same skills and tools that you already possess as a concreter, landscaper or paver. Expand your business and offer rubber wetpour as an option to your customers and give your business an advantage and the edge that others lack. 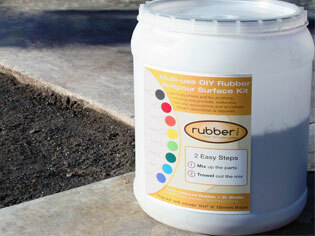 Have a play with rubber wetpour – order a Rubberi kit from A1 Rubber, perfect for trialling the product. Kits come in a range of colours and contain all the ingredients you need to sample the product over 1m² at 15mm thick. Invest in a Rubberi kit for only $99, and for a limited time we’ll ship it to you for free! Contact A1 Rubber about a Rubberi kit by emailing sales@a1rubber.com or calling (07) 3807 3666. A1 Rubber offers state-of-the-art manufacturing equipment and converts over 6000 tonnes of recycled tyre for playground surfacing, commercial and fitness flooring, sports flooring and more.